Lt. Raul Denis, Horry County Police Dept. 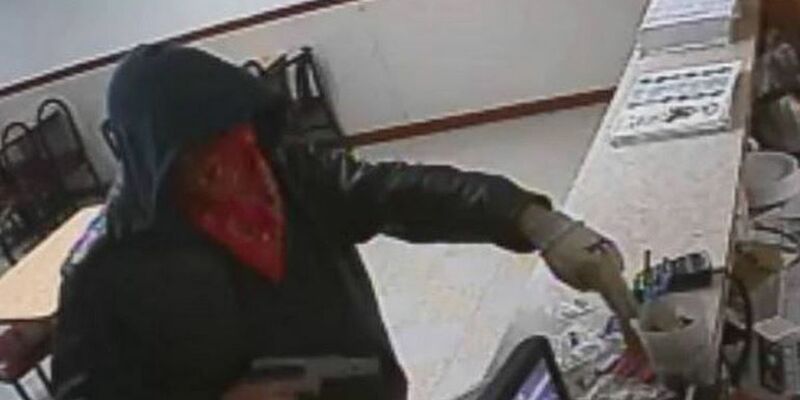 HORRY COUNTY, SC (WMBF) – The Five Guys Burgers in Murrells Inlet was robbed by an armed suspect Wednesday night, and police believe the suspect is responsible for a string of armed robberies in the Georgetown area. The suspect entered the store through the back door of the Five Guys and took cash from the register, according to Horry County Police Lieutenant Raul Denis. He says that the suspect has entered every business he robbed through the back door. "You know the fact that he's going in that back door, at closing time the way that he is, and there's never any customers in there, means he's watching the place. So he's probably stashed in the bushes, or in his car or something back there or very nearby, because he wants to watch the business to see who comes and who goes," explained Denis. Police believe that this suspect also robbed the Lucky Panda restaurant and several other businesses in Georgetown in the recent past. Denis encourages restaurants and businesses in the entire area to be alert and don't let your guard down. He said, "If you're a business owner in Murrells Inlet, Garden City area, you need to be very careful especially now, especially during closing time, take whatever precaution you can take." In the same shopping center with Five Guys Burger, is Paint & Unwined, business owners there, say they have changed their safety procedures. "We keep the doors locked when we are cleaning up in the evening. We are together, we leave together, we come together, and now we don't put our trash out at night in the back alley, we just leave it stacked up for in the morning," Michelle Raabe, who works with the business that offers painting classes, with a glass of wine. Lt. Denis said they are working to pin the suspect down. He adds, "We're analyzing the crime data that we've gathered on him and we're working with detectives in Georgetown County. We're increasing our patrols especially during hot times, during closing times when he seems to operate the most. So all we need is a little bit of luck to catch, and hopefully that's soon." Businesses are cautioned by police to keep their back doors locked if at all possible, especially when closing for the day. Copyright 2014 ?WMBF News?. All rights reserved.